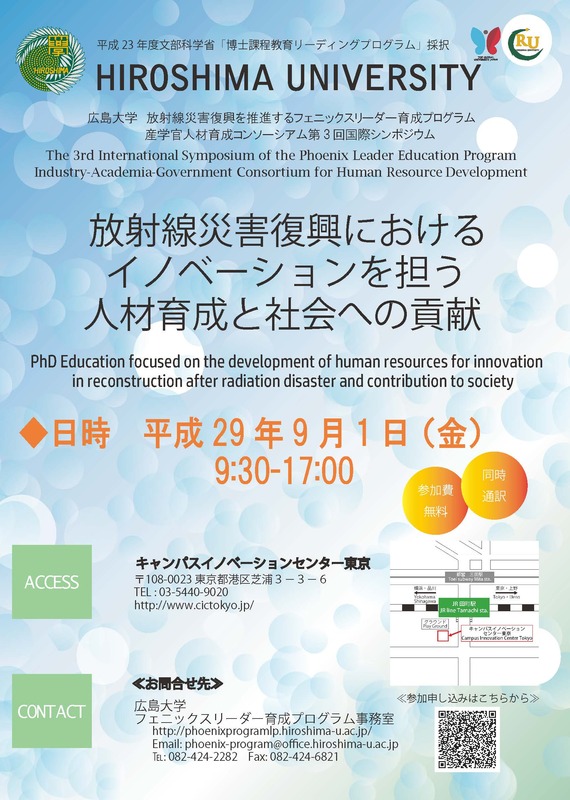 The human resources developed for innovations have emerged as a fundamental requirement to solve the difficult problems associated with the process of recovery from radiation disaster. Individuals capable of innovation, the Phoenix Leaders, are fostered based on mutually beneficial partnerships with international organizations, international and domestic private companies, universities, research institutions and municipalities (Industry-Academia-Government). This symposium aims to share questions and perspectives on human resource development through discussions among participants who belong to different sectors of Industry-Academia-Government. 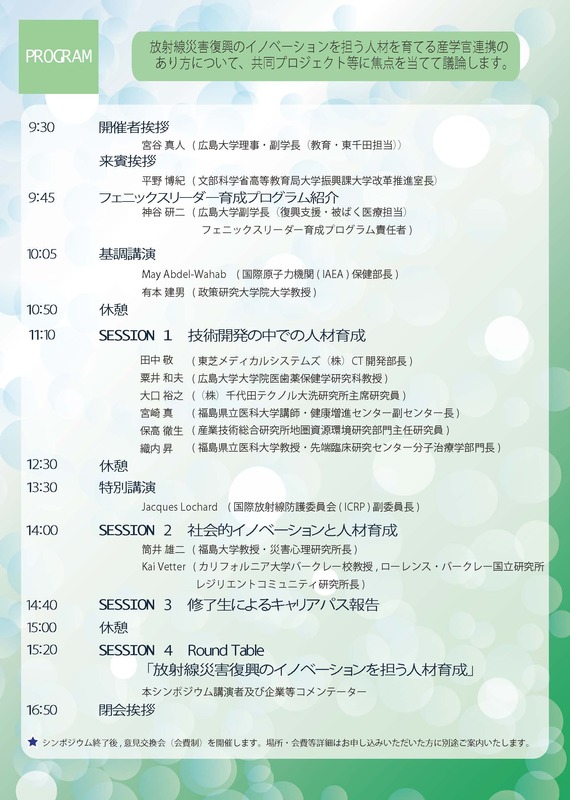 These participants will elaborate on how the human resources for innovation should be developed, the system for leading this development and how this system should be directly linked to various career path opportunities. 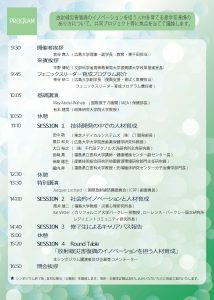 The symposium program will include the keynote speech as well as special lectures and presentations that focus on projects based on collaborations involving various academic fields and other section(s) for technology development and social innovation. The student presentations and subsequent discussions represent an aspect of developing our target human resources as well as an opportunity for career path building. 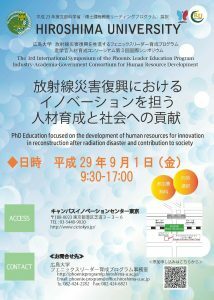 Lastly, challenges facing the development of human resources will be discussed in a round table format focusing on human resources who are capable of realizing ‘innovations for recovery from radiation disaster’ being the focus of discussions. the social sciences lead to changes in society at large?